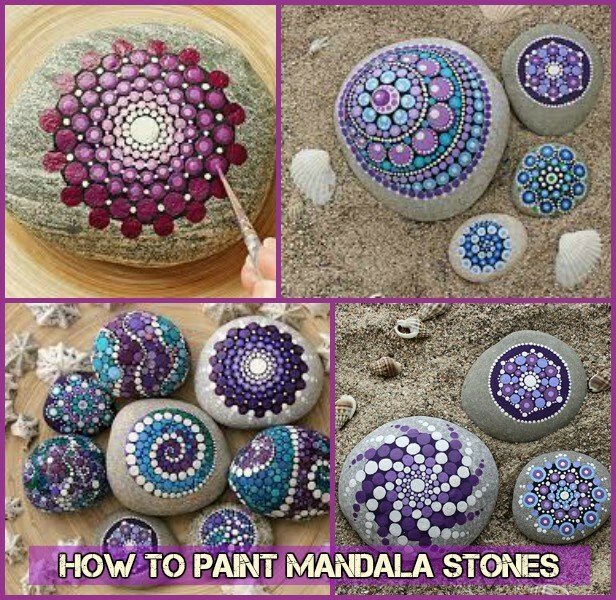 Mandala Stones, by collecting beautiful beach stones and uses them as canvas to create colorful artworks out of dots or lines. Elspeth is well known throughout the web as she uses acrylic paints and a paintbrush to create her beautiful works, using dots to form beautiful patterns over rocks. 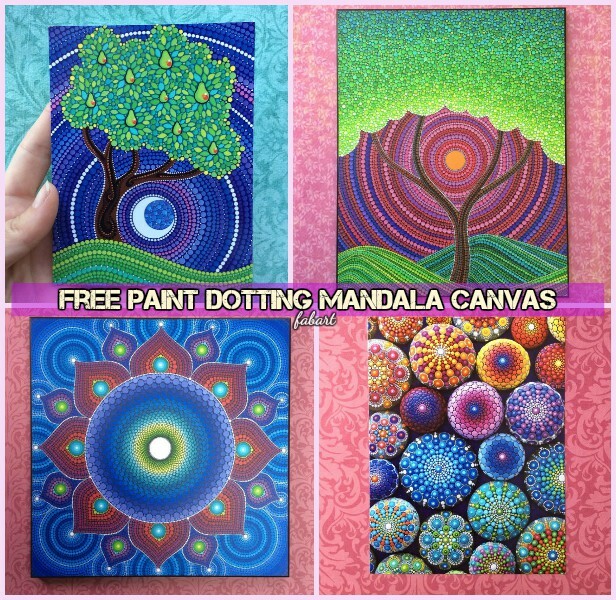 There are many ideas and creations of Mandalas from wall drawing to crochet. Mandala was originated from Indian, indicating Universe, and spread into other cultures and religions, especially by Buddhism when mandalas has been developed into sand painting. We still can see some of these mandala sand artworks through the website. If you love the create with pebbles and rock, don’t miss out our other collection of painted rock cactus, and rock garden DIY projects. 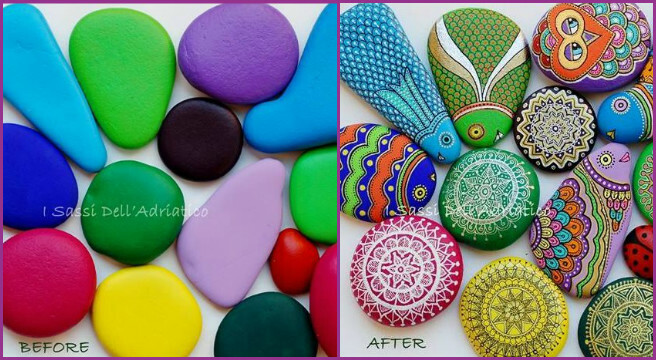 Sehnaz Bac create beautiful stone and pebble art just like the image above, you can also check out her facebook page via the link here: I Sassi Dell’Adriatico. 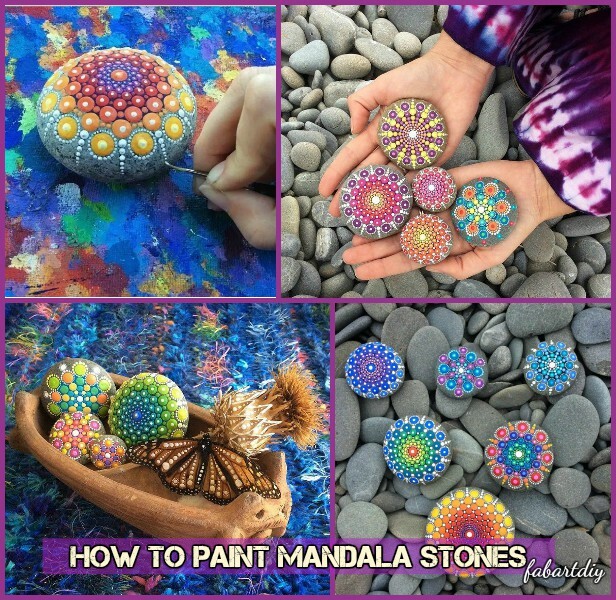 After Bored Panda shares the article of mandala rock painting, the idea to paint mandala rock is getting wild around the web. Canada-based, Australian artist Elspeth McLean creates vibrant paintings of colorful mandalas on ocean stones that can help calming the soul. You can challenge yourself with your patience and painting skills to create your own too. Or buying any of her creations directly, you can go check out her store on Etsy. Sehnaz Bac shares the wonderful video tutorial on drawing a mandala on beach stones with dots and lines.